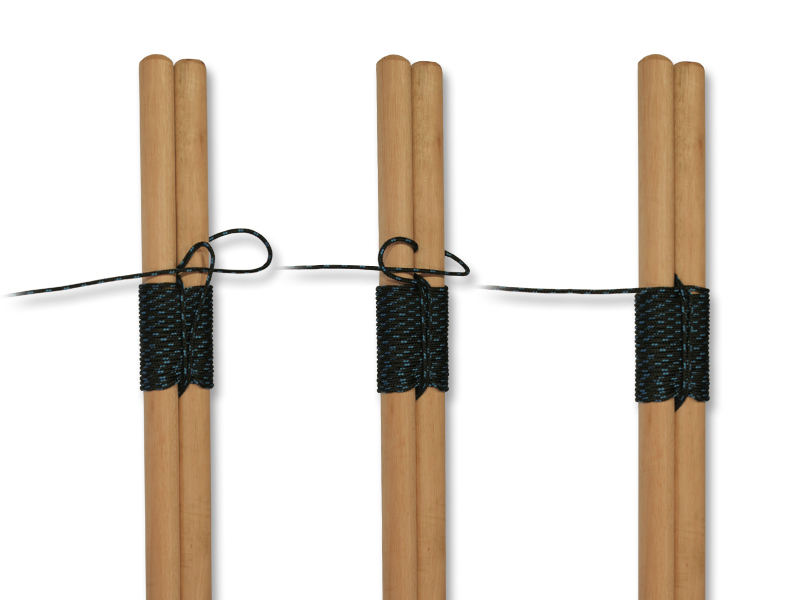 Shear Lashing (or Sheer Lashing) binds two poles together. 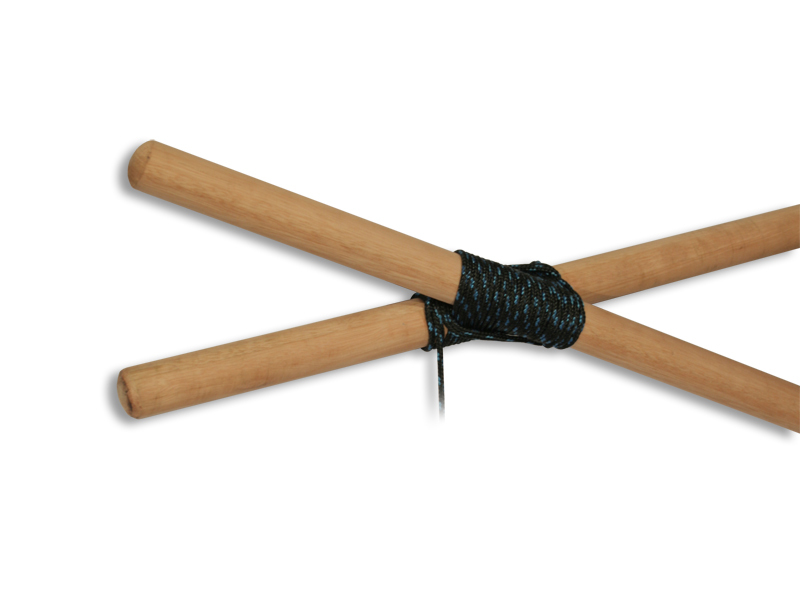 It can be used as a temporary solution to fix a broken pole, add a piece of reinforcement to a weak pole or to create an a-frame. 1. 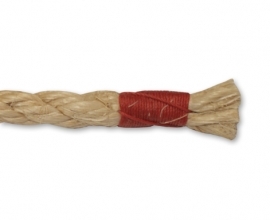 Tie a Clove Hitch around the two poles and make sure you dress the knot tight. 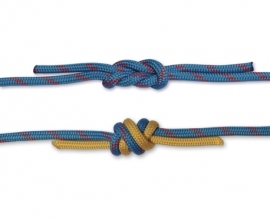 Tuck the tail of the Clove Hitch between the two poles. Cover the tail with a turn of your working end to trap it under the lashing. 2. Continue the lashing by turning the working end around the poles, pulling the rope tight each turn, until your lashing is at least as long as the two poles are wide. 3. Tuck the working end between the two poles. 4. Make a frapping turn and pull tight. 5. Make another frapping turn and tuck the working end through the last frapping turn. 6. 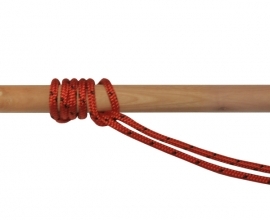 Tuck the working end through the two poles and back underneath itself, creating a half hitch. 7. 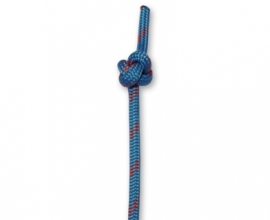 Pull the rope tight and trim off any access if needed. 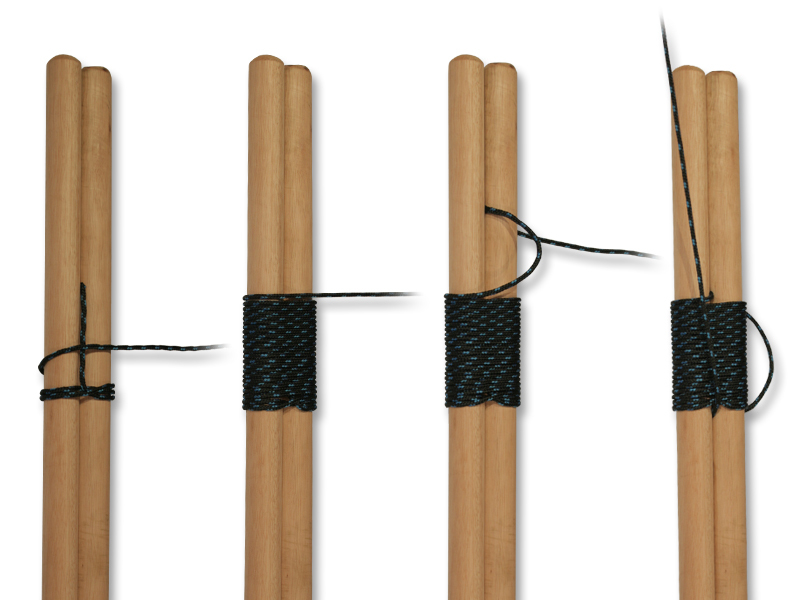 To make an a-frame, follow the same steps as you would with normal Shear Lashing, but make it less tight to allow a bit of room for movement. Once your Shear Lashing is done, simply pull the legs apart.